News, announcements, inquiries, and musings on biodiversity informatics from the Species File Group. This is the third in a series of posts by our intern Jeff Jaureguy. I was spoiled this morning with an amazing Norwegian breakfast called a smothered omelet lefse wrap at the Norske Nook. Who would have known this beautiful gem would be in such a small town. 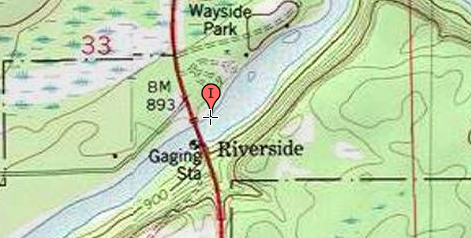 We packed the car and headed out of the town of Hayward towards our next field site in Washburn county on the Namekagon River at Lat: 46.02739, Long: -92.01258. This was a very large river about 80 m wide and had a blackish brownish color. I ended up using a dip net the whole time scouring the river for aquatic insects. I found a lot of caddisfly pupae and casings on the bottom of the river along with some local fish, my first catch! 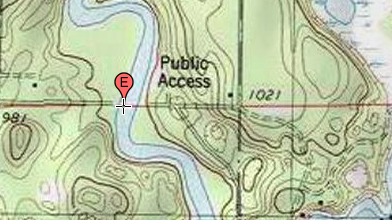 The next site we collected at was in Burnett county at the St. Croix River at Lat: 46.07568, Long: -92.7077. This location was a very large sinuous river with a dark brown color to the water. I collected samples using a beating sheet and stick in the river. I found an assortment of caddisflies, stoneflies, and mayflies. Dimitri, one of the head researchers at Illinois Natural History Survey found a megaloptera along the side of the road on the way back to the van. It was a very intricate looking insect with a very beautiful patterned set of wings. After the day sites we went home rested, had dinner and then headed back out for our three scheduled night collections utilizing UV lights. Wow, what a long exciting 12 hour day, got to get some rest and gather energy for the next day. Stay tuned for more excitement! #informatics need a study. If a dataset/paper is CC0 does it increase the *citations* relative to *any* more restrictive CC (I suspect so). — Matt Yoder (@mjyoder) July 30, 2014 TL;DR There are lots of hints, but apparently no direct studies that address this. Two important bits of clarification based on my original thoughts. I was only interested in cc licensed data. I was not asking whether cc0 data is reused more than other cc- data, just whether cc0 data gets *cited* (yes, citations = bad metric, so use a generic "pointed to" perhaps) more than other cc- data, particularly cc-by.